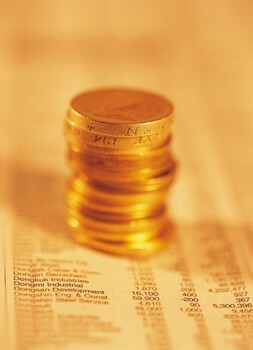 Home » Articles » Gold » Why Gold? A. Producers, on average, have now sold forward about 3 years of production – this is unprecidented. We don't think they will sell forward any more. Instead, the scenerio will be that they will either curtail sales altogether (they can hold off selling for a year and still be sold forward 2 years of prodcution! ), or begin to buy back hedges…i.e. buy gold to cover their shorts in a rising gold market. Some South African producers have sold forward 80% of their mine reserves. The impact of short covering could be huge. Back in 1993, just one mining co. (LAC Minerals) coverage of a large hedge caused the gold price to vault up during its big rally. B. Canada, which was selling several hundred thousand ounces of gold per month a year ago has almost sold all of its reserves. Russia has done the same thing. Also, the West has been printing so much currency, that to sell any more gold, (i.e. decrease the amount of gold backing their currencies), would be dangerous and would risk significant currency devaluation particularly in times of uncertainty. So we don't think the central banks will be as eager as before in selling gold to the market. C. Dollar – The record US deficit is threatening the value of the dollar. If the Government defaults, it can influence the World's confidence concerning the dollar. If it does happen you can not imagine how high the gold will go. D. Technically, gold has broken out in the London market, one of the worlds oldest and most prestigious. The breakout point was $396 which it was touched about 4 times in last 2 1/2 years, only to fall back. We retraced right back to the breakout point, and are now moving up again. The XAU has similarly broken out of 2 year trading range, and projects to another 20-30% gain at a minimum. Finally ,the Elliot wave technical pattern is bullish here, and projects to the mid $400's in gold, and $7-11 in silver.